Dr. Jennifer Reneker, PT, MSPT, PhD, NCS, is a board certified neurological physical therapist with a doctorate in public health, specializing in epidemiology. She is an Associate Professor in the Department of Physical Therapy and holds a secondary appointment in the Department of Neurosurgery at the University of Mississippi Medical Center. Prior to coming to UMMC in April of 2016, Jennifer was a faculty member at Walsh University in North Canton, Ohio. While there, she received grant funding and conducted collaborative research with Akron Children’s Hospital Sports Medicine Center, authoring multiple publications on Sports-Related Concussion and rehabilitative management of symptoms after concussion. Reneker is recognized as an expert in concussion and has spoken at multiple national level conferences to an array of healthcare providers on this topic. 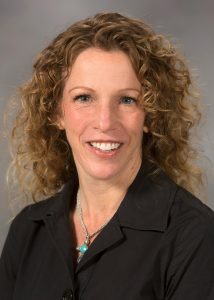 In addition to her faculty appointment, Reneker holds a telework appointment at the Louis Stokes Department of Veterans Affairs Medical Center in Cleveland, Ohio as a research mentor within the orthopedic and geriatric physical therapy residency programs. Employed by the Veterans Affairs since 2003, she has contributed on multiple national workgroups, including being a contributor to the Falls Toolkit for the National Patient Safety Center, the primary author for the Department of Veterans Affairs Clinical Practice Recommendation for Mobility Dogs, and a leader within the Physical Therapy Field Advisory Council on Education Committee. Reneker is currently occupied with efforts to expand concussion management practices in Mississippi and is engaged with a variety of stakeholders across the state. She is a board member on the Mississippi Brain Injury Association and is part of a multi-disciplinary, community engaged team at UMMC, supported by the Association of American Medical Colleges, to build a systems approach for the prevention of concussion in youth sport participation.